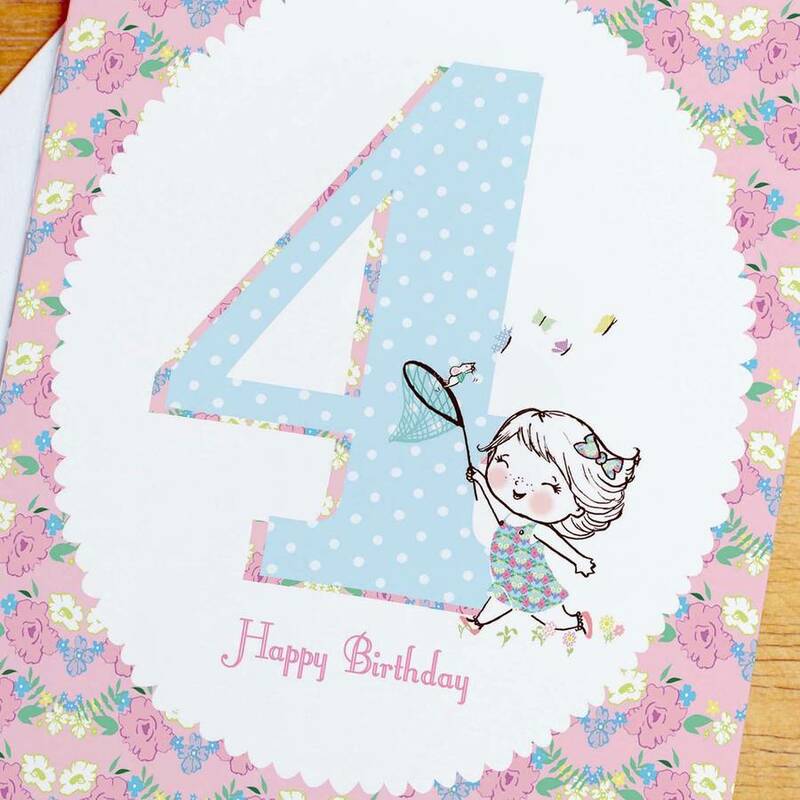 A gorgeous little card perfect to Happy 4th Birthday to a special little lady. Daydreaming with Rosie, is lots of fun to do, close your eyes, make a wish and your dreams will come true. 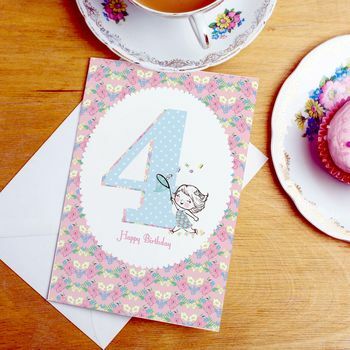 A perfect way to say 'Happy 4th Birthday' and make somebody smile.This cute little card from Rosie & Radish has been left blank inside for you to write your own special message. 12cm x 17cm, printed on 300gsm Accent Antique Silk card using a 4-colour print process that shows off the vibrant illustration. Comes complete with a matching Accent Antique Silk envelope and wrapped in a cello sleeve so it arrives to you in tip top condition.